"A vivid, compelling account of a life on the edge." "In a year where clashes between young black men and law enforcement fueled concern, and even anger, the death of Michael Brown could have been just one more incident raising questions about the public and policing. Instead, a community came together and ignited a firestorm of national protests that took this issue to another level. 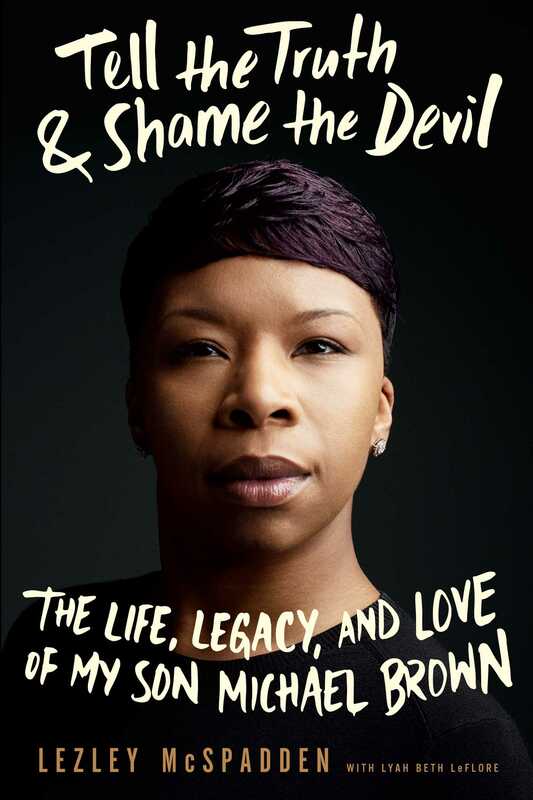 Caught in the frenzy, grieving mother Lezley McSpadden launched head first into a new life of activism. This book gives voice to her journey and allows us all to see what one mother can do to find answers." "An honest, revealing walk through her own life — a personal family history crucial to understanding the full context of Michael’s death and the chaos that followed." "Her resilience has inspired many." "By now you've heard the story of Michael Brown and his death in Ferguson, Missouri, at the hands of a police officer. His mother, Lezley McSpadden, shares her perspective on his murder and the subsequent trial in Tell the Truth & Shame the Devil. Naturally, it's absolutely tragic, but it celebrates the memory of her son and makes the case for change." "The book chronicles McSpadden's life growing up in tough St. Louis neighborhoods, her experiences raising Brown, the devastation his shooting brought, and her push to honor his memory." "Her words will hopefully right the wrongs of a society that demonized her son before his body was even lowered into the grave . . . Tell the Truth & Shame the Devil shatters preconceived notions of who you think he was. It is his mother's story as much as it is his. Because to truly see the child, one must first understand the one who gave him life."